On this episode, I talk about my point of view on the changing landscape of Instagram. I reference an article put out on the Atlantic that talks about the Instagram aesthetic being over and how some influencers and even brands are shifting or need to shift with it. I also just talk about the concept of not being romantic about what got you here, investing heavily in what is relevant and of interest now and always keeping an eye on what’s in the future so you can be early rather than late. POV: Instagram decreasing prominence of likes- a good thing! On this episode I talk about Instagram potentially decreasing the prominence or value of the likes on their platform and why that is a good thing. I revisit the topic of followers not mattering as well as likes and engagement, at least not anywhere close to as what most people think. Instagram, Facebook and influencers All provide fantastic vehicles for exposure to niche audience is. Stop sweating vanity metrics and start thinking about how best to allocate your dollars for delivery of your messages to the right eyeballs. On this episode, I talk about how context is King with social media even more than just content. Don’t write off any social network until you have a holistic understanding of how each works in the now. They all have value if you think about context first. On this episode, I talk about Instagram adding poll stickers to their story ads. For the brands that were involved in the beta they saw a nice increase in three second video views showing that these are effective in getting users to stay for a bit and consume. With 500 million active daily users, under priced advertising and real consumption this is very compelling from a marketing point of view. 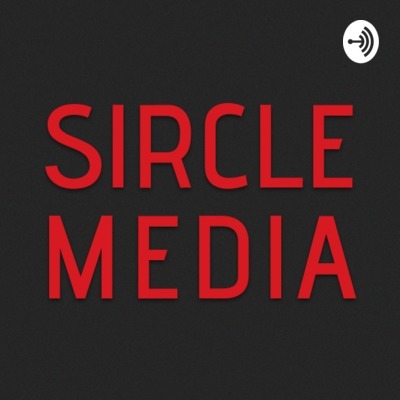 On this episode, I talk about Sircle Media’s overriding themes for Q2 2019 when it comes to your approach to social media. 1-Include your social media manager in more conversations. 2- Seek out more integrated influencer relationships over one time transactions, 3- Deploy most of your time on what’s hot and some of your time tasting and experimenting with other platforms. 4- Don’t overthink your social content and be more nimble and put out more and see what happens. 5- Continue to push out content marketing in all forms, especially video content. On this episode, I talk about the new “about this account” feature on Instagram. It is a great way to get Intel on what your competitors and/or the market is doing when it comes to Instagram ads and more importantly you can see the type of engagement they are getting which can help inform your decisions and your roll out for your own ads. I also talk about boosting Instagram content and taking advantage of the engagement metrics that will show up right in your feed. On this episode, I talk about LinkedIn right now and how I think it’s like Facebook three or four years ago. Organic reach is very high, people are engaged and it is a great place to share your journey and to let people behind the kimono. Use it wisely and take advantage while the going is good. On this episode, I just give me a quick take on Checkout from Instagram. I love that they are removing some of the friction and allowing you to transact right on the platform I believe this is going to be a big deal and lead to a lot of revenue and a lot of upside for both brands of consumers. On this episode, I talk about supporting retail relationships with paid media. If you want to help massage velocity, then you need to be spending money on Facebook and Instagram advertising as well as smart, integrated influencer collaborations. On this episode, I talk about some updates coming out from Instagram. Specifically their branded content ads, a potential rollout of Creator profiles and their ongoing commitment to purging fake accounts and shady activity. POV: Stop overthinking social content so much. On this episode, I give a quick POV on why brands shouldn’t overthink their social media content. Let the audience and the data tell you what performs, be fast and be willing to be in nimble. This is especially true with Instagram Story content. They should be in the moment experimental and fun. Not over thought, super stylized or too structured! POV: Is content marketing actual advertising? On this episode, I talk about whether or not content marketing is actual advertising. I reference a piece from socialmediatoday.com but more specifically just go into my thoughts on content marketing and context marketing in general. Instagram updates to IGTV and Collections? On this episode, I talk about some early Intel on some improvements to IGTV as well as potentially rolling public collections the Instagram platform. Keep a close eye on both as Instagram leans more toward IGTV visibility and E-commerce! On this episode, a reference an article from socialmediaExaminer.com that talks about some ways to improve your Instagram Story engagement. On this episode, I break down an article from socialmediatoday.com that talks about some of the do’s and don’ts of social media in 2019. I give my perspective based on our agency’s view and approach and I hope you find it helpful. Instagram Purge: Don’t sweat it! On this episode, I talk about the Instagram fake account purged that happened on February 12. Instagram wants to continue to clean up his platform and from time to time it will clean out these fake and fraudulent users. Brands should not sweat it as these numbers do not matter. On this episode, I talk about how Instagram rolled out IGTV promotions in the main feed. Now you can publish your IGTV videos directly to your Instagram feed and tease users to come back and watch the full video on IGTV. Brands should be experimenting with this for sure. On this episode, I talk about including your social media manager in more conversations about all aspects of your business. Too many brands put their social media manager in a silo and don’t allow them to really dig deep into other components of their day-to-day activities. By including your social media manager more they can be a more affective head of comms for your business. POV: Break your bad social media habits. On this episode, I talk about an article in on socialmediatoday.com that breaks down bad social media marketing habits and how to break them. I talk about not following vanity metrics, a lack of storytelling, weak analytics, siloed social media, and neglecting paid social. Instagram Stories just rolled out the ability to link to the story and improved upon their promotion tools for Story content. These are compelling updates to help get more out of the content you create specifically for Stories. Rant: How much should you spend on paid social? Brands want video but say they can’t afford it. We argue they cannot afford to not be in the video content game. On this episode, I talk a little bit about a report put out by Klear and specifically how brands should be focused on Instagram Stories and leveraging nano and micro influencers to help them in this area. On this episode, I talk about Instagram Story highlights and some tips for how to use them better. I reference an article on socialmediatoday written by Phoebe Bain and give a little bit of my own spin on it too. This is top billing real estate that you should be using for your brand. On this episode, I talk about how you shouldn’t dismiss a social network and decide it is not a viable platform for your business until you have done some homework. It is not so binary and you have to take into account who your target audience is and what your messages are before you decide which platform to leverage for marketing your business. On this episode, I talk about Facebook adding CTA stickers to their Stories and why brands should be paying attention. 300 million users are checking out Stories on a daily basis and that represents a lot of eyeballs. Not only is this now a good place to be focusing from a branding point of view but now there are some direct response features that make it even more attractive. On this episode, I talk paid social in 2019 and why you need to embrace higher CPMs and content at scale. On this episode, I go a little bit deeper on my thoughts about paid social in 2019. First, I think brands should find any funds that they can to invest in Instagram and Facebook advertising. Wherever they net out, they then need to look at their total budget and all of their main KPI‘s and then make sure that they properly invest in the most important ones and don’t dilute their spend and under invest in too many initiatives. Take your budget and if it’s less than it needs to be tighten up where and how you spend it. POV: Think science before art when making content. On this episode, I talk about thinking science before art, when making content. For CPG and beverage brands, we think the most important messages are PFC- Product Front and Center, DTP-Describe The Product and RCO- Retailer (or any distribution) Call Out. Don’t just make tons of content for the hell of it. Get a little more tactical in 2019! On this episode, I break down some of our Q1 2019 tactical recommendations for social media. The big takeaways are a “less is more” approach to content aiming for about 16 posts per month. Boosting of content and making sure you’re putting more money behind less posts so as to give your best content increased chances for exposure and finally rethinking paid social and breaking it into three categories 1- Content Boosting for key message exposure 2- Short term campaigns to support specific initiatives such as retailer support or e-commerce promotions 3- Acquisition campaigns, but with deeper budgets. On this episode, I talk about the Twitter platform devaluing followers and decreasing the real estate that your follower count takes up on the platform. Twitter is doing this as part of their cleanup process for their network, but we have been saying for a long time that your Twitter follower account is not the goal. It is about getting involved in the conversation, sharing information and communicating with other users. Don’t sweat follower growth at all! POV: Why social media engagement doesn’t matter that much. On this episode, I talk about why social media engagement is not the right KPI for measuring your performance on social media. Pam Moore wrote an article for socialmediatoday.com backing up the idea that a lot of your core target demographic is on social and is probably consuming content they just aren’t going so far as engaging with that content via likes shares clicks etc. It is not about those engagement metrics (or at least not only for sure) it is about delivering branded messages to targeted audiences and having the data to support that delivery. On this episode, I talk about the Quintly report that breaks down Instagram best practices and was published by Andrew Hutchinson on Social Media Today. The key takeaways are: 1- videos generate up to 21% more interaction then static posts. 2- bigger profiles are more likely to utilize video 3- longer captions are more common but shorter descriptions see more engagement 4- fewer hashtags is better 5-EMOJIS can spark response and 6- weekends see higher engagement. On this episode, I talk about creating content and having that be the fuel for your marketing efforts. Measuring the success of content comes down to your visual opinion and whether or not it elevates the brand or create awareness around key messages. It is not on the performance of the content especially if you’re not providing paid support for that content. I apologize for the audio, but I wanted to sneak it in before I got to the office. On this episode, I talk about where to invest your time and money if you want to be successful with your social media efforts in 2019. Specifically I talk about video, longform content, investing in third-party tools to help you better understand your audience and as always, paid social and influencer collaborations. POV: Think science before art, when creating content. On this episode, I talk about thinking about the science of your content and message before spending so much time on the art. Think about who you want to target and what you want to say and then create assets to back that up. Don’t just create pretty looking assets and then think about how you might want to market then. It’s a subtle difference but an important one. On this episode, I talk about the update that was put out on Instagram‘s info center regarding the steps they are taking to reduce in authentic activity on their platform. There’s a lot of tools out there to cheat the system and it causes a lot of headaches and really adds no value to anyone. I am really happy to see this proactive change and I hope it has a positive impact and changes the point of view that so many brands have on this topic. On this episode, I talk about how brands are too overly reliant on Instagram right now. It is important to diversify and always be tasting new or other things. On this episode, I give a quick pov on email marketing and the importance of it. You have to capture emails, have an email sequence plan, and deploy promotional and content laden emails too. On this episode, I talk about Amazon testing a search based retargeting which would allow you to use the Amazon DSP and then follow users based on their search queries outside of the Amazon walls for the first time. There’s a very attractive product that marketers should be paying close attention to. POV: Three types of paid social. On this episode, I talk about my point of you on paid social and how there are really three categories. First is revenue generating ROI focused advertising. The second is reach and awareness around key marketing messages, audience segmentation and in the case of most of our clients retailer support. And the last is guaranteeing delivery for your “organic” content to select audiences. On this episode, I talk about investing time and effort into Instagram Stories. You should be looking at Instagram Story swipe up ads, creative video and just experimenting with the platform as much as possible. Don’t wait, get involved now! On this episode, I talk about YouTube premieres and why I think this is a great idea from the platform and for brands. It brings users back to the old TV model where they are expected to tune in for some unique piece of content that they can only see at that time (at least for the first time it is viewers). It is a great idea to experiment a little bit here and get in early to gainsome learnings and see if you can get some attention from users experimenting with this. On this episode, I go on a rant encouraging people to start showing more respect to Facebook. It is such an important part of your marketing plan and you should not be shortchanging your efforts there or disrespecting the social network. If you are, you are leaving opportunity on the table. POV: Where you need to invest your social media dollars. On this episode, I talk about where brands need to invest their dollars and time when it comes to social media and 2019. Every brand needs a social media manager, or a social media management team. They also need to invest in paid social as well as influencer collaborations and marketing. On the episode, I talk about really understanding how to optimize your brand’s Amazon experience and setting yourself up to win. On this episode, I go on a little rant after losing a prospect. They decided to go with an internal hire only because they thought they get more value because they get that person 100% as opposed to hiring Sircle Media and getting us while also sharing us with other brands. You don’t need one community manager 100% of the time but you do need different skill sets and different personnel to round out a social media strategy. For this reason it makes a world of sense to have an agency partner who can provide the different skill sets. Going internal and thinking you get all of the necessary talent rolled into one person is just not the case. On this episode, I talk about Amazon and it’s importance for brands looking to sell product online. You should be leveraging the platform and it’s reach and hacking the platform with marketing dollars and expertise to give yourself a better chance to win. Don’t just sit back and hope it works, because it won’t unless you invest the time and effort. On this episode, I talk about an article from socialmediatoday.com that highlights three Instagram growth lessons from how Smarties has re-designed its on platform image on Instagram. Don’t sweat followers, and remember that most people visiting your profile are not even followers and are probably discovering you for the first time. Convey your personality, have content that stands out from the clutter, share third-party content and not just your own and leverage Instagram Stories, especially highlights for some more in depth messaging around your brand or products. On this episode, I run through an article from socialmediatoday.com written by Nathan Mendenhall titled 11 Facebook updates you need to know for 2019. On this episode, I talk about Instagram’s new name tag feature. It is getting a lot of buzz and certainly worth checking out. Instagram is where all the attention is at and I encourage people and businesses to be very well versed in all aspects of the platform. On this episode, I talk about Instagram Shoppable Story Stickers and why this is very exciting for E-commerce brands on the platform. On this episode, I talk about the Facebook relevance score and some findings we had based on our own client’s Facebook creative. On this episode, I talk about tips for gaming social network algorithms, as broken down in a recent Socialmediatoday.com article. On this episode I offer up a quick POV on where attention is. I like Instagram, (ads, video and IGTV) I like LinkedIn and I like podcasts. On this episode, I talk about my POV on Pinterest, their user count and their new shop the look pins. If you have e-commerce objectives then you should be paying closer attention to Pinterest going forward. On this episode, I talk about agencies or even employees using bots and or buying followers to boost Instagram numbers. You can see it from the outside in when you see a massive and quick increase in follower count and a ton of likes with very few comments on the Instagram posts. That usually indicates some sort of cheat to get there. On this episode, I talk about Facebook fan page is being able to join private groups on Facebook. I think this opens up an excellent opportunity for brands with a position, who can be thought leaders around specific messaging. On this episode, I talk about the importance of working with influencers but encourage brands to find those who have actual depth. There’s a lot of fakers in the influencer market and I think it’s important to find the right ones who actually have true influence. On this episode, I give my POV on Instagram for Q4 2018. On this episode I give my POV on Q4 2018 advertising strategy And specifically derived from some of the information in WPROMOTE’s midyear advertising report. It’s a good read put out by a solid company. On this episode, I give my POV about IGTV and how to approach it during Q4 of 2018. On this episode, I talk about my POV on how to approach a Twitter during Q4 of 2018. On this episode I talk about my POV on content and how brand should approach it during Q4 of 2018. On this episode, I talk about not looking at Instagram likes or comments on a posy as the measure (or at least the only measure) of whether or not the content was worthwhile. Followers and like count are much less relevant these days and sometimes branding and storytelling should trump metrics. The art can be more important than the science! On this episode, I talk about how brands and agencies are having the wrong conversations in this market. They are still looking at earned media vs paid, organic social vs paid AND gross impressions and followers. The reality is that paid social offers you excellent targeting at very low pricing and guaranteed delivery. It should be looked at as an amazing improvement and innovation, over the reach and awareness marketing of the past. Don’t get romantic about things being organic, when you can spend some dollars and facilitate the conversation yourself. That is smart marketing and the right POV in today’s market. On this episode, I talk about changes to Facebook Ad targeting and why they shouldn’t really matter. Of course decreasing targeting capabilities is not ideal and you will need to figure out how to navigate that, but that should not lead to people abandoning Facebook advertising. It is so powerful and provides reach and consumption at scale. Brands need to have a plan on how they will approach it moving forward, and that plan should not be to sleep on Facebook. On this episode, I talk about Facebook Story highlights and why I think plans should get involved. On this episode I talk about Instagram's new recommendations feature. The audio gets snipped at the end so if you find any results and make progress with gaming the tool, let me know! On this episode, I talk a bit about trends in news consumption and content in general online and more importantly on the go. We are living in a mobile device first world and people value their time more than anything. Of course online news and content consumption are increasing as people choose to control for what they read and when they read it. On this episode, I talk about how interviews should be two-sided. Both when hiring staff and when agencies and clients are considering working together. On this episode, I talk about a conversation I had with an old friend about social media and it being a fad. The economy is great now but when it takes a turn for the worse I believe that our products and offerings add even more value than they do in this current fruitful economy. Social media is no fad, it is the new Internet and businesses can’t sleep on it if they want to win online! On this episode, I talk about the importance of treating at least some of your Facebook and Instagram advertising as if it were TV and rooted in reach and awareness rather than DR and conversions. Some of it should be art and top of funnel and not only science and down funnel for sales. On this episode, I talk about the importance of being proactive in August and putting in the work while others sleep. It doesn’t mean you can’t kick back and enjoy the month, it just means you should not be shutting down the engines completely. And in the hours that you do work you should be more strategic and you should really be setting up the latter part of the year to win. On this episode, I talk about using the Instagram DM feature as a sales tool to find leads for your business, regardless of your vertical. On this episode, I talk about different types of social media agencies and why their approach is flawed. I think our secret sauce is what sets us apart. On this episode, I talk about how social media is not just in marketing vertical and is more of a horizontal element for a brand. It truly touches all aspects of your business. When you are deploying real marketing efforts then of course social media metrics and performance matter. You just have to understand when that is and then have a game plan to execute effectively. On this episode, I talk about why social media metrics don’t always matter. We are all about measurement and results here at Sircle Media, but I think brands get lost in the weeds on the wrong measurements when it comes to understanding their social media efforts. Sometimes you are just looking for reach and awareness, and not engagement and likes. Sometimes you just want to present a message or maybe show off new packaging or a new SKU and aren’t really looking for a response. Don’t plan hard and then pivot because your comments and likes were low. Many times that doesn’t even matter! On this episode, I talk about why video is mission-critical and I encourage brands to get off the sidelines and start producing more video content. 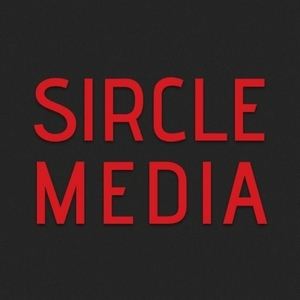 On this episode, I talk about what Sircle Media does and why it works so well. On this episode, I talk about content engagement and growth and how you need to be focused heavily on all three if you want to win on social media. In this episode I talk about IGTV as a compelling new vehicle for IG to gain new users. Influencer Marketing: Think before you select your partners. On this episode, I share my thoughts about selecting the right influencers to partner with for your influencer marketing efforts. On this episode I give my POV on how to approach working with micro influencers. You can’t punt and you need to put in the work. On this episode, I talk about the benefit to brands being able to look at the Info and Ads being run by other brands across Facebook, Messenger and Instagram. On this episode I give my POV on Instagram video chat. Not so much a deep dive as a perspective on Instagram and their constant commitment to diversifying and adding new products. On this episode I talk about my thoughts on YouTube and LinkedIn in Q3 2018. On this episode, we talk about quality over quantity and not over posting on social platforms. Going forward we are recommending less posts, and more thought behind your posts. On this episode, I break down the genius behind the IHOB play from IHOP. Harry's: Another brand doing things right. On the episode I throw some love to Harry’s, a brand that I think is doing things right. On this episode we talk about Facebook's Brand Collabs Manager and why it will be a powerful tool for both influencers and brands. On this episode we talk about IGTV and how Instagram is making a real power move into the creator and advertising worlds. On this episode, Chris Heller breaks down the brand Greats and explains the many different ways they are just doing things right when it comes to social and digital media. On this episode, Chris Heller talks about an article from Recode that says podcasts are teeny tiny, and the potential of the podcast space. Outerknown: A brand doing digital right. On this episode, I talk about the brand Outerknown and how I think they are doing digital the right way. I am very impressed with them from beginning to end, and I encourage you to check them out! Mobile first, should be your mentality. On this episode I talk about how much attention is being paid to mobile devices, and marketers should think about ways to get in front of consumers on their mobile device. If Facebook marketing is becoming more expensive then I would argue you should look for other ways to hit people in the phones, before overspending on traditional mediums. If you can afford to do the mall, then by all means go for it. I just think that most can’t invest the necessary dollars into traditional mediums to make it ROI positive. On this episode I talk a little bit about the Instagram algorithm and what factors they weigh in assessing what to show users. On this episode I talk about not getting lost in the weeds on the metrics for success to determine whether or not something is right for your brand. Especially when it comes down to conveying a brands message, tone or aesthetic. On this episode I talk about the importance of working with influencers that have large followings, micro influencers with highly engaged niche followings and influencers who can take beautiful photos for you from the content only POV without necessarily leveraging their audience. On this episode I talk about voice and recommend that people taste it, experiment with it and really give it a try to get a feel for how voice really works. This is another way to distribute content and it is where consumers and businesses are going for sure. Don’t be late to the party! On this episode I talk about being a little bit more tactical when you work with large influencers. Don’t trust overpay for the collaboration, figure out ways you can glean more value on the backend and make the whole transaction make more sense for your business. On this episode I talk about a bug when I try to transcribe one of my Anchor recordings. Very frustrating! On this episode I talk about voice and the things I learned after attending VoiceCon, put on by Garyvee and VaynerExperience yesterday in New York City. Bottom line- this is real, coming fast and you don’t want to miss the party! Social content can be more natural and less forced. On this episode I talk about being more natural and real with your social content rather than trying to be too cute or careful and overthinking each piece of content too much. On this episode and I just reflect a little bit on how important it is to be grateful and to have a gratitude mindset. On this episode I share my point of you on Pinterest for business in May 2018. I am a fan as a consumer but not super sold on the platform for most businesses as it stands today. Support Retail Relationships with social media. On this episode I talk about the importance of having a real social media game plan in place for your retail partnerships, especially to support your first order. Don’t over post on social media to hit a quota. On this episode I talk about over posting on social media and how the data supports that more quantity is not necessarily better. Putting out better quality is the right play. Are Instagram pods or bots a good idea? On this episode I talk about putting our content on LinkedIn and then paying close attention to the analytics to see who is reading, watching or engaging with that content. Then if you can figure out who it was you can go in for the close when you were trying to sell to that person. Facebook fans are not the goal. On this episode I talk about why Facebook fans are irrelevant and in fact even if you had a lot of fans, that is not what you would spend your time and money on with marketing messages. When you target very specific niche audiences on Facebook, they typically perform much better and so if you want to be able to show that you can target audiences with a specific message do so with paid efforts that market other groups not your fans. Use Twitter Search and reap the benefits. On this episode I talk about using the search feature on Twitter putting in the work and reaping the benefits of your efforts. It sounds super basic but it’s become forgotten tool and my strong recommendation is to get involved and to do so right away. Facebook advertising is very strong in April 2018! On this episode talk about the favorable Facebook advertising market right now and how I love Targeting users based on the engagement with your Instagram account as well as video view campaigns that leverage short but catchy videos as creative. On this episode I talk about the importance of setting the stage between clients and agencies on not only your wants and needs but also your communication style and the type of communication style you want from your agency partner. If you can articulate that upfront and continue to advocate for that ongoing, then your relationships with your agencies will improve and so too will the results. In this episode I talk about how I feel like a trainer sometimes and how brands, when hiring a social media agency can look at things that way too. They should state beforehand what they want to have happen, hire a partner to help them get there with a proven track record and then follow almost blindly until they get there. Being good to your employees is key. In this episode I talk about the simple hack to help ensure better reach and potential engagement when working with micro influencers on Instagram. Have a deeper business conversation with them and be a little bit more tactical and you can see some improved results. I apologize for the poor audio, I was walking on the streets of Manhattan. Contradictions will hurt your social media efforts. In this episode we talk about how contradictions can really hurt your results when it comes to your social media efforts. Brands are often not fully committed or hedging and as a result they are compromising the results. In this episode I give my hot take on where Instagram is as we end the first quarter of 2018. Organic reach is way down, stories are the hot ticket and you should be all over paid IG campaigns that include video. In this episode I rant a little bit about feeling underappreciated for all the hard work we do for our clients. A Social Media Manager has to cover a lot of ground and we put in hard work and dedication day in and day out. Clients typically are blown away with it early on and then become so accustomed to it that they start to undervalue it and begin to sweat the wrong details. I wish they would take a second to sit and reflect about all that we do for them more. Hardest part of running a client services agency. In this episode I talk about the hardest part of running a client services agency, at least from my point of you. Businesses have been burned by agencies so many times in the past that it is a constant uphill battle to show them why you were different. I wish my clients looked at me more like an employee and saw how I I’ll performed some of the best they have ever had. Instead I get put in the agency bucket and constantly have to prove that I add value in an even deeper way than any employee ever would. Social media helps you sell. In this episode I talk about the power of social media in selling. If you have a business or sell a product and want to be successful these days you need to be leveraging social media, plain and simple. On this episode I talk about the value of community management and why it is something you should enjoy and engage in and not just dismiss. It is the whole point of social media. On this episode I talk about just getting out there and doing. So much time is wasted thinking about it why social media doesn’t work and if you put the time into just experimenting I think you will find the reasons why it does. In this episode I talk about Instagram Stories and some of the compelling stats behind them. Brands need to really change their point of view on this platform and start to invest more time and energy into producing Stories. This is where the consumer attention is and therefore this is where the brands should be. Business drives social media and not the other way around. In this episode we talk about how the business objectives should drive social media and not the other way around. Social networks will help you accomplish your goals faster and more efficiently, but first the business needs to define those goals and put the tools in place accomplish them. Don’t pigeonhole your social media efforts. Your social media manager should touch all aspects of your business. On the episode i give my quick hot take on the Vero app and I apologize for the sound - i was on the move walking to work and I just wanted to get some thoughts down before I step into a really busy day. Bottom line is I think it’s a little too early to tell but people should get in there and mess around and form your own opinions! In this episode we talk about why you need to balance the art and science of your messaging plan if you want to win with your social media strategy. In this episode we take the KPI’s of social media conversation a bit deeper to better explain our position as an agency. In this episode we talk about the KPI conversation and why it really comes from the business first and not something that is generated from the social media firm or any marketing partner for that matter. Once a brand or a business has articulated what they want to have happen then their partners should create plans that specifically focus on those outcomes. PR Firms don’t do social well. On this episode we explain why PR firms are not built for social media management and why they are the one higher for that role. PR firms are mission critical partners when it comes to awareness and exposure and for a brand seeking those there are many great partners out there to choose from. Those are not the right partners for day-to-day social however. In this episode Adam dives a bit deeper into his Instagram point of view and how to better explain it to retailers, partners or investors who might be less in the know and need some guidance and education. On this episode I talk about why websites are in mission critical component of your digital game plan, even if you don’t focus on e-commerce. Don’t just make more video for the sake of making video. Double down on good assets and get more value out of the winners. On this episode we talk about why brands, especially small businesses should not be spending so much time sweating the micro details on social media content. Instagram Ads, video view ads, and promoted posts all work and are super under priced. Get in now while the market is so good! In this episode I talk about what matters on Instagram right now and where to focus your time and attention. On working with good people.. I reached a point in my career but I only want to work with good and reasonable people. We can argue, we can debate and we can even disagree. I just don’t want to work with people who disrespect and disregard. So I just thought I would share my point of view on a topic. How I use social networks now. A breakdown of how I am leveraging social networks today for business. Brands need to understand that social media is a full time thing and they need to make the proper financial and time investment if they want to be successful. Two anchor posts about the right POV and approach to IG in Jan, 2018. Brands shouldn’t be looking at followers or engagement as their metric for success of their Instagram efforts. Content should be for storytelling, stories for deeper engagement/ views and ads for performance. Here is Sircle Media’s take on the decreased importance of Instagram Follower growth in 2018.